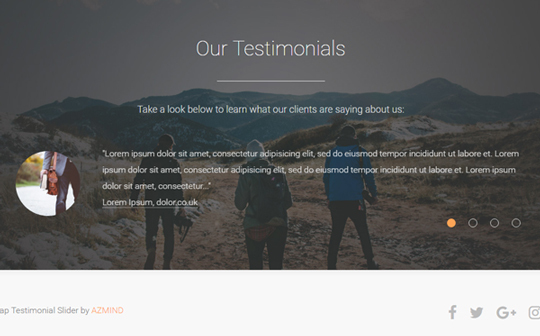 Today’s free web design resource is a package of three testimonial slider templates made with Bootstrap. Showing some testimonials in your product’s page, agency site or landing page is a good idea as it gives credibility to your brand. And presenting them in a nice and beautiful way is better. Hopefully, these three templates will help you on this task. They come with responsive layout, fullscreen image background (static or slideshow) and Font Awesome icons. Below you can find the live preview and download links. Enjoy! 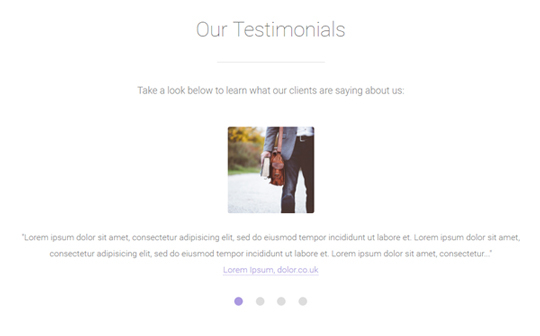 Testimonials section created using Bootstrap’s Togglable tabs. Centered testimonial section with fullscreen static image background, circle images for each testimonial. 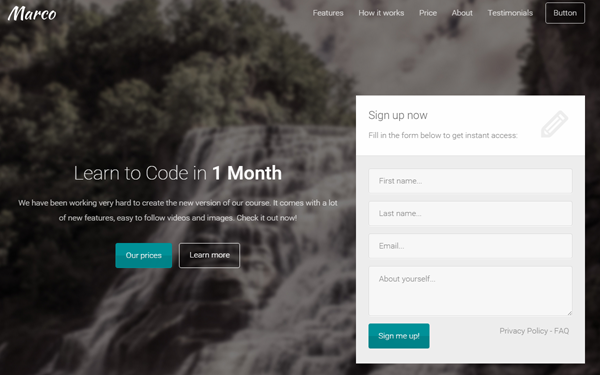 Left aligned testimonial section with fullscreen slideshow image background, circle images for each testimonial. 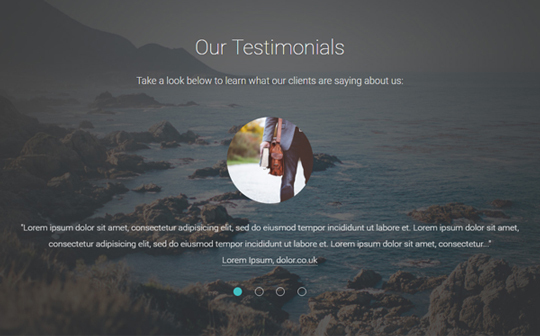 Centered testimonial section with white background, square images for each testimonial. Download the zip package below and extract it. Each template / layout is in its folder called “layout 1”, “layout 2”, etc. You can use these testimonial slider templates in personal and commercial projects, but you can’t sell or distribute them directly, “as is”. If you plan to use them, a link to this page or any form of spreading the word will be much appreciated. 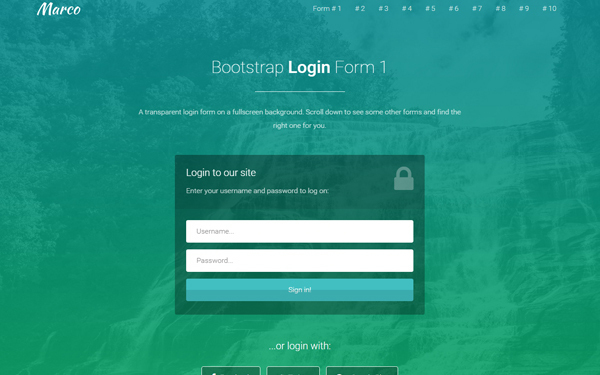 It comes with 15+ different layouts / templates and 30+ forms. hi thanks for your codes.